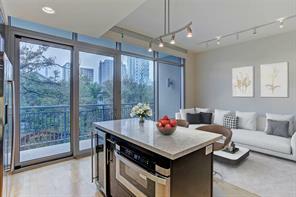 Contemporary luxurious 2 bedroom 2 bath with 6th floor views that overlooks green space and pool. Enjoy the benefits Highland Tower offers with full service for it's residents that include Concierge, valet parking, infinity pool, outdoor area includes kitchen /grill area and seating area with TV, workout room, full kitchen and dining room for entertainment available for residents- Unit 607 has marble counter kitchen that is equipped with Bosch appliances and a wine fridge next to the breakfast bar. Plenty of storage in unit that includes a full size washer dryer, large pantry area and lots of closets. Balcony overlooks the 5th floor green space and pool area with views to East Houston. ATTENTION DEVELOPERS & BUILDERS - LIST PRICE BELOW LOT APPRAISAL ATTACHED. Two of four remaining original sized lots in 1950's Briar Hollow Subdivision. No Deed Restrictions. All other lots subdivided and converted to single family homes, townhomes or multi-family units. 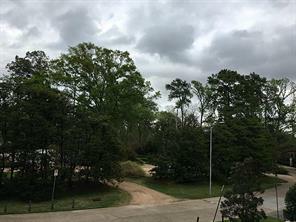 These 2 contiguous wooded lots (61 & 65 Briar Hollow Lane) are +/- 74,870 sq ft per HCAD with Buffalo Bayou as back boundary overlooking Memorial Park. 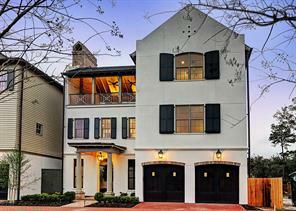 Only minutes to Uptown, Galleria area and newly developed River Oaks District Shopping. Both lots contain residential structures sold in "AS IS" condition. 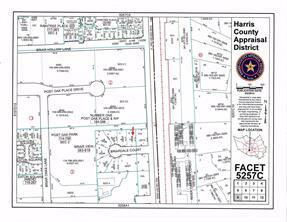 Hurricane Harvey - 61 Briar Hollow did not experience any flooding and 65 Briar Hollow did experience flooding due to lot excavation for lower floor when structure originally built (only 2 of the 3 stories visible from road). Properties located on a quiet cul-de-sac setting with private access driveways. 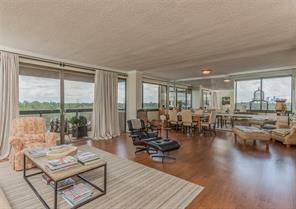 Well-appointed Penthouse with private pool, elevator into foyer & private 3-car garage. With spectacular views of Downtown & Galleria, this 4/5 bedroom, 5.5 bath penthouse has a large island kitchen that is open to a huge living/dining area that opens to a spacious outdoor terrace & pool. It's like living in a resort and is perfect for entertaining. 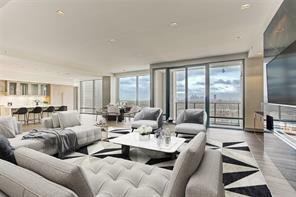 The interior design & finishes of this penthouse are exceptional. 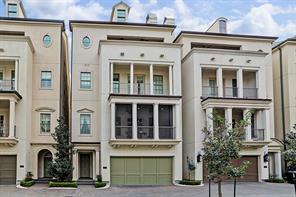 The Arabella is a short drive to the River Oaks District and walking distance to the Galleria. The amenities in this high-rise masterpiece include indoor & outdoor pools, exercise room, steam room, party room, and a gorgeous lobby with 24-hour doorman & concierge service. This is Houston high-rise living at its best. 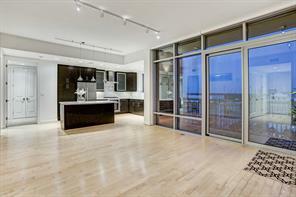 Come see this exquisite penthouse in the incomparable Arabella. SALES MODEL OPEN DAILY. APPOINTMENTS SUGGESTED. SALES OFFICE LOCATED INSIDE BUILDING. SELF-PARK OR COMPLIMENTARY VALET. 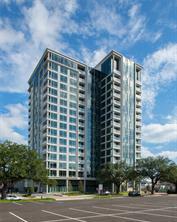 Pelican Builders offers Houston's finest new full service luxury high rise, The Wilshire at River Oaks District. 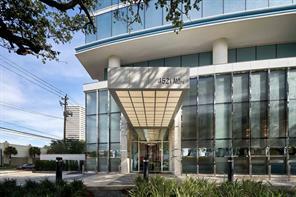 At just 300 ft. from River Oaks District, this building is in the most walkable neighborhood in Houston with a walkability score of 75! It is designed to maximize natural light while creating a perfect environment for discriminating owners to relax and entertain. 10% EARNEST MONEY W/LENDER PRE APPROVAL! WORLD RENOWNED HIGH RISE CONDOMINIUMS,FROM THE HUDSON RIVER TO THE UPPER EAST AND WEST SIDES OF NEW YORK, ARE SOON TO HAVE A NOT TOO DISTANT COUSIN IN HOUSTON. WE WELCOME YOU TO THE DESIGN CENTRIC WORLD OF ARABELLA. PENTHOUSES WITH PRIVATE POOLS CROWN THE UPPER FLOORS.THE VAST VARIETY OF FLOOR PLANS, MOST WITH PRIVATE ELEVATOR ENTRIES, ADVANCED SPACE PLAN AND FINISHES OF THE AMENITY PACKAGES ARE BASED ON THE SIGNIFICANT EXPERIENCE OF THE DEV TEAM. LOVE OUR PLAN, OR CUSTOMIZE YOUR HOMES INTERIOR. Situated in the guard gated community of Audubon Hollow, this unique floor plan (Magnolia Plan) by Butler Brothers has first floor open living and dining with wood burning fireplace, a chefs kitchen and inviting outdoor spaces. 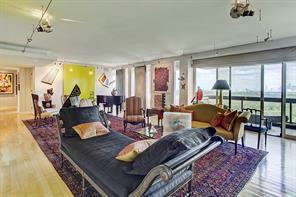 Second floor features a master retreat with sitting room and secondary bedroom. Game/media room and additional bedroom located on third floor. Commercial grade appliances, custom features and high end finishes throughout. Elevator capable and room for optional pool. Situated in the private guard gated community of Audubon Hollow, this floor plan (Bluejay Plan) by Butler Brothers has first floor open living and dining with wood burning fireplace, a chef's kitchen and inviting outdoor spaces. Second floor features a master retreat, spacious sitting room, and secondary bedroom. Game/media room, wine room/storage, and additional bedroom located on third floor custom features and high end finishes throughout. Elevator capable and room for optional pool! A fabulous custom built Lucian Hood home noted and pictured in architectural books with incredible storage, elegant formals, spacious rooms and countless amenities. Overlooking a lovely backyard with pool and patio and backing to park space, this is truly a must-see property in the prestigious 24 hr manned gated community of Eaton Square. Decorator's own home. Sophisticated! Dramatic! Elegant! Designed by Lucian Hood, built by William Carl.Tranquil gated oasis, classic curb appeal, in a remarkable central location near River Oaks and the Galleria. Stunning formal + informal living areas down-perfect for entertaining-open onto a lovely outdoor garden terrace with retractable awning. 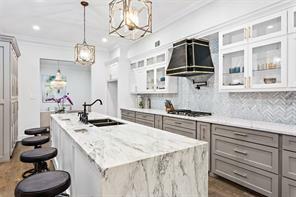 Efficient gourmet island kitchen, with granite countertops, connects the beautiful formal dining room and stylish informal living area. Elevator to all 3 floors. Expansive 2nd floor two room master suite with balcony. Impressive custom designed solid walnut dressing and bathing area, dual walk-in closets + vanities featuring exotic Italian Marble. Inviting guest bedroom has an adjoining library/study. 3rd floor en-suite dormer suitable for home office? Bedroom? Media/game room? Floored attic connects to bonus large air-conditioned carpeted storage closet. Temp. controlled wine cellar. Three car garage. Motor Court. Mosquito misting system. 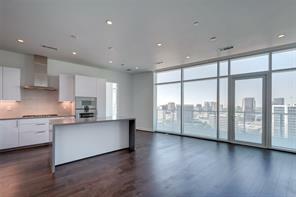 THE WILSHIRE, Houston's new full service luxury high rise at River Oaks District. At approx. 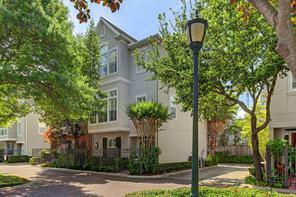 300 ft. from River Oaks District in the most walkable neighborhood in Houston! Wood floors in Living,dining,kitchen,foyer, German SieMatic cabinets, Sealed porcelain counter tops,Wolf appliances, Sub Zero Frig y Freezer,2 parking spaces, Bldg provides, 75ft pool, fitness center,party room w catering kitchen, valet, 24 hour concierge. 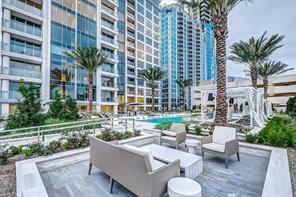 New UNIT WITH POOL AND CITY VIEWS, Don't miss out on touring this beautiful unit and luxury building! Schedule your private tour today! Situated in the private guard gated community of Audubon Hollow, this unique two-story Iris Plan by Butler Brothers has first floor open living and dining with wood burning fireplace along with a chefs kitchen and inviting outdoor spaces. Study/optional bedroom also on first floor. Second floor features a master retreat with sitting area, study, and secondary bedroom. Commercial grade appliances, custom features and high end finishes throughout. Elevator capable. Optional third floor. 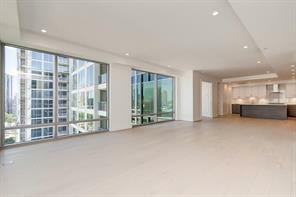 THE WILSHIRE, Unit 902 has 3 bdrms, 3 1/2 baths, a media room or study, 2 assigned parking spaces and air conditioned storage. Includes washer and dryer. Overlooking the pool area. East views of downtown. THE WILSHIRE at River Oaks District. At just 300 ft. from River Oaks District, in the most walkable neighborhood. 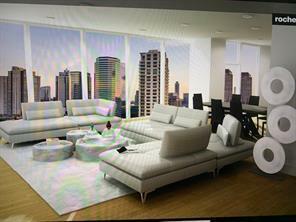 German SieMatic cabinets, sealed porcelain counter tops, Wolf appliances, Sub Zero fridge and Freezer, (building provides) 75ft pool, fitness center, 2 party rooms w/catering kitchens on separate floors, amazing outside amenities on pool level and first floor, valet parking, 24 hour concierge. Watch our Virtual Tour Video!! Sophisticated, yet casual living in this recent Pelican Home. It is a second home and has barely been lived in. It ha a tandem 3 car garage, and lovely patio in the back in addition to front and back balconies. Plantation shutters and hardwoods throughout. Gourmet cook’s kitchen with serving island. Wolf range along with second wall oven, and SubZero refrigerator freezer. Built in grill just outside the kitchen on the balcony. Large bedroom and bath on the first floor, kitchen and living areas on the second floor along with a butler’s pantry and powder room, master and an additional secondary ensuite bedroom on the third floor, and large game room with full bath on the fourth floor. Elevator to all 4 floors. Private location yet within walking distance of the fabled River Oak District. You will not be disappointed. Recently completed freestanding patio home located in Bancroft Place, a gated community of 18 beautifully designed homes by Pelican Builders. Elevator. First floor guest suite and study opening to a landscaped backyard/patio. Hardwoods throughout house. Light and bright! 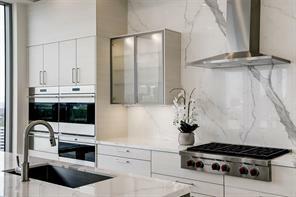 Gorgeous Mother of Pearl Quartzite Island kitchen with Wolf/Sub Zero appliances opens to den and breakfast room. Butler’s pantry and bar. Formal living & dining room with balcony, built-ins, fireplace with French doors to screened front porch with park views. Master bedroom with another balcony, two custom walk-in closets and very nice bath with freestanding tub, walk-in shower and a private water closet. Game room/Media Room/Guest Room/Office with full bath and large terrace on top level with park & city views. Two car attached epoxy floored garage with storage closet. Awesome River Oaks/Galleria location. Walk to the new River Oaks District to shop, see a movie and dine! Enjoy life inside the Loop! A fine home. 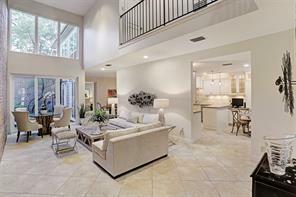 Distinguished Briar Hollow patio home nestled within a desirable gated enclave offering exceptional amenities with stylish designer enhancements, elevator installed to all levels, and 3 car attached garage with climate controlled wine storage. Classic Lucian Hood design features an impressive Reception Hall leading to elegant Formals. Grand Gallery. Gourmet Island Kitchen opens to sizable Den. Master Suite up with luxurious bath, separate dressing rooms, and adjoining flex room with private bath. 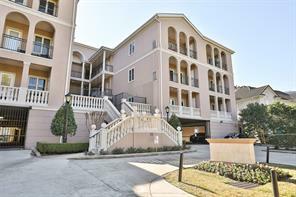 Beautiful balcony overlooks peaceful garden terrace with retractable awning and mosquito control system. 2 Secondary Bedrooms. Third Floor Flex Space with full bath and walk-in attic access leading to climate-controlled seasonal storage space. Gated Motor Court with additional off-street parking. Recently completed freestanding patio home located in Bancroft Place, a gated community of 18 beautifully designed homes by Pelican Builders. A smart home with Control 4 Home Automation System controlling A/C & Heat, AV Equipment, door locks, etc.! Elevator, first floor guest suite and study opening to a landscaped backyard/patio. Hardwoods throughout. Gorgeous Island kitchen with Wolf/Sub Zero appliances opens to den and breakfast room. Grilling balcony with stainless Wolf grill. Butler’s pantry and bar. Formal living & dining room with balcony, built-ins and wood burning fireplace. Master bedroom with balcony, 2 custom walk-in closets and awesome bath with tub and Roma Steam shower. Game room/Media Room/Guest Room with full bath and large terrace on top level with park views. Two car attached epoxy floored garage with storage closet. Awesome River Oaks/Galleria location. Walk to the new River Oaks District to shop, see a movie and dine! Enjoy life inside the Loop! A fine home. 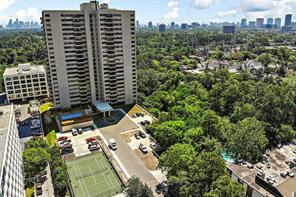 Unique opportunity for one of the largest units in Highland Tower! Two entrances..three parking spaces and an air conditioned storage unit. Gorgeous North and East Views off of two terraces. 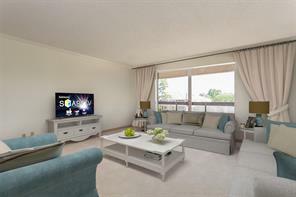 Automatic blinds, Bosch appliances, floor to ceiling windows, wine fridge and much more. Master bedroom has a luxurious bath and shower with large walk in closet. Room sizes should be verified. 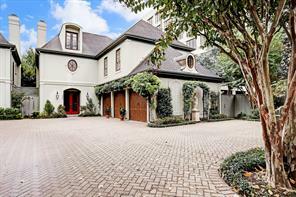 Come see this elegant and spacious home in one of the most desirable buildings in the River Oaks/Galleria area. Walk to shopping and restaurants! Some furnishings may be negotiable. Washer and dryer included. 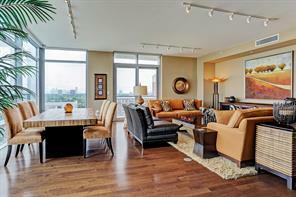 Beautiful 3 bedroom 3 1/2 bath Upper West Side unit with Galleria Views. 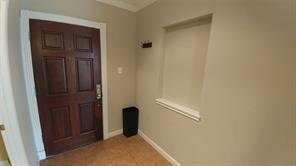 Unit with Private elevator direct from the parking space.Decorator ready to move into. Eggersman kitchens and baths and gagenau appliances. includes 3 parking spaces, 2 non reserved and 1 reserved space and a storage. 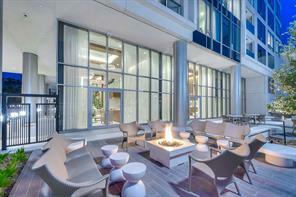 Bldg offers Valet parking, indoor and outdoor pool, fitness center and beautiful lobbies. and state of the art party rooms, In building reservations for visitors. WORLD RENOWNED HIGH RISE CONDOMINIUMS,FROM THE HUDSON RIVER TO THE UPPER EAST AND WEST SIDES OF NEW YORK, ARE SOON TO HAVE A NOT TOO DISTANT COUSIN IN HOUSTON. WE WELCOME YOU TO THE DESIGN CENTRIC WORLD OF ARABELLA. PENTHOUSES WITH PRIVATE POOLS CROWN THE UPPER FLOORS, VARIETY OF FLOOR PLANS, MOST WITH PRIVATE ELEVATOR ENTRIES, ADVANCED SPACE PLAN AND FINISHES OF THE AMENITY PACKAGES ARE BASED ON THE SIGNIFICANT EXPERIENCE OF THE DEV TEAM. LOVE OUR PLAN, OR CUSTOMIZE YOUR HOMES INTERIOR. 10% EARNEST MONEY W/LENDER PRE APPROVAL! 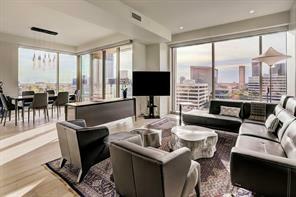 LIVE ABOVE ALL THE OTHERS, DOWNTOWN VIEWS IN THIS SPECTACULAR 2BD +DEN AND 2.5 BATH. WE WELCOME YOU TO THE DESIGN CENTRIC WORLD OF ARABELLA. PENTHOUSES WITH PRIVATE POOLS CROWN THE UPPER FLOORS.THE VAST VARIETY OF FLOOR PLANS, MOST WITH PRIVATE ELEVATOR ENTRIES, ADVANCED SPACE PLAN AND FINISHES OF THE AMENITY PACKAGES ARE BASED ON THE SIGNIFICANT EXPERIENCE OF THE DEV TEAM. LOVE OUR PLAN, OR CUSTOMIZE YOUR HOMES INTERIOR. Gorgeous, meticulously maintained, exquisitely updated Regency Style, Wm Carl, freestanding patio home w/grandly proportioned formals, warm neutral palette, rich hardwds, architectural enhancements, high ceilings, handsome moldings, floor-to-ceiling windows &plantation shutters throughout. Nestled in a secluded, beautifully landscaped, exclusive, gated enclave on a cul-de-sac street adjacent to River Oaks, home offers 3 floors of casual elegance, all of which accessible by existing elevator. Warm, light filled den opens to a totally updated &beautifully appointed cook's island kitchen w/slab quartz countertops/backsplash &features recent, top-of-the-line stainless steel appliances. An entertainers dream, well appointed wet bar w/wine refrigerator is located between family room &formal living. Sumptuous master suite features adjacent sitting room and separate his/her baths &walk-in closets. Spacious, versatile third floor makes perfect gameroom, office or 4th bedrm w/full bath. Vacant gravel lot. drive by. neighboring lots also available for sale. 10% EARNEST MONEY W/LENDER PRE APPROVAL! 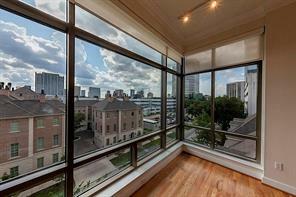 LIVE ABOVE ALL THE OTHERS, DOWNTOWN VIEWS IN THIS SPECTACULAR 2BD 2 BATH. WE WELCOME YOU TO THE DESIGN CENTRIC WORLD OF ARABELLA. PENTHOUSES WITH PRIVATE POOLS CROWN THE UPPER FLOORS.THE VAST VARIETY OF FLOOR PLANS, MOST WITH PRIVATE ELEVATOR ENTRIES, ADVANCED SPACE PLAN AND FINISHES OF THE AMENITY PACKAGES ARE BASED ON THE SIGNIFICANT EXPERIENCE OF THE DEV TEAM. LOVE OUR PLAN, OR CUSTOMIZE YOUR HOMES INTERIOR. 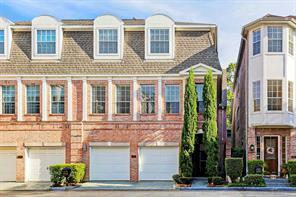 Elegant townhome perfect for entertaining right in the Heart of Houston! Floor to ceiling windows gives this home a light and bright feel. 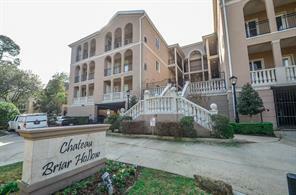 ELEVATOR all levels, granite counter tops, stainless Viking appliances, hardwoods, wine room, wet bar, study and spacious rooms. Gated private community with lots of green space, outdoor patio overlooking pool, walking trail surrounded by beautiful trees and gardens. 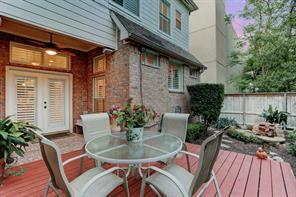 Close to River Oaks, Tanglewood & Galleria makes this home perfect for Houston's most desirable location!! 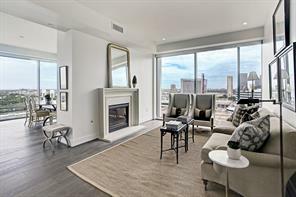 Located on the 17th floor of Highland Tower, this stunning penthouse offers a private balcony with incredible views, two spacious bedrooms and two and a half baths. 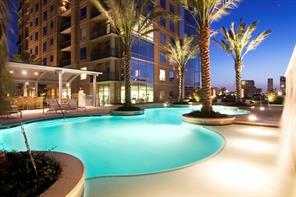 Building's amenities include resort style pool, fitness center, and extra storage space. 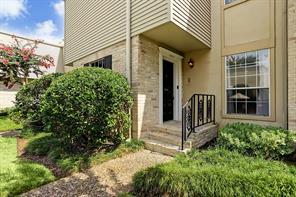 Enjoy convenient living just minutes from the Galleria and River Oaks. 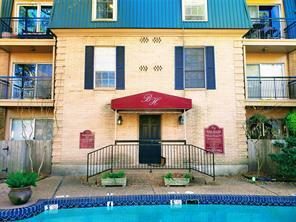 10 unit multi-family property near the Galleria on a 9k square foot lot. Sold for lot value only. Seller will not do any repairs. Feel free to drive by, but please do not disturb tenants. This property is ideal for new construction or rehab. Seller is also selling 9 Briar Dale. A NEW RANDALL DAVIS HIGH-RISE DEVELOPMENT, The Arabella offers world class living close to the highly anticipated New River Oaks District & Equinox Gym. The jewel box lobby is designed by 212Box. Signature features include floor-to-ceiling windows Miele stainless steel appliances, wood floors, & European cabinetry. Design your residence in the sky by selecting or customizing your home. Limited residences available w/Private Elevators & Pools. REMARKABLE PATIO HOME tucked within the quaint & gated Briar Hollow community! You will be captivated by this sought-out inner loop location nestled on a lovely cul-de-sac among only four other homes within its' gated complex. True craftsmanship, custom paint, mesmerizing design, operable elevator (1st & 2nd floors), 4 spacious bedrooms/en-suite baths, plantation shutters, sophisticated wrought iron staircase design with quality wood flooring treads/risers, and an abundance of storage throughout. Phenomenal island kitchen, cabinets galore, stainless steel appliances & the most divine granite countertops. Exquisite 2nd floor Master Retreat features a connecting study, dual closets & rich bathroom cabinetry. Fabulous over-sized laundry room is conveniently located nearby master. Two-car attached garage paired with a lengthy double-wide gated driveway is a rarity in itself. Serene outdoor landscaping & mature trees lace this glorious freestanding home. No flooding (-per Seller). This elegant Raintree Place home with a 2016 composition roof has curb appeal and is well located in this gated community. Entry opens to formals with a fireplace in the living room. A cozy den with built-ins, a bar and Plantation shutters. The kitchen & breakfast room has patio access. Master bedroom with a fireplace connects to a sitting room/third bedroom with a built-in desk and views. Guest room with private bath. Attached garage. Guest parking. Community pool. Never flooded! A fine home. 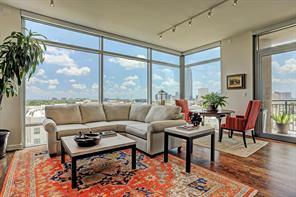 Enjoy luxury and sophistication in this spacious 2 bedroom and 2 bath unit, in the prestigious Highland Tower. Floor to ceiling windows in the living area, great for natural light. 24/7 concierge, valet parking. Amenities including fitness center, hot tub, infinity pool, garden and lounge on the 5th level. Just a short stroll away to the River Oaks District. 2 Parking Assigned Spaces and Storage, views of The Galleria and North. READY FOR IMMEDIATE MOVE IN!! 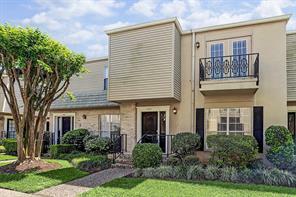 Amazing opportunity to own a rare three bedroom, three bath condo located on a quiet street in the heart of the Galleria Area. 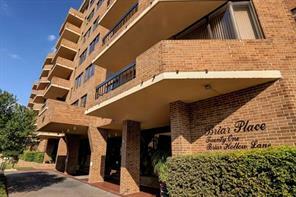 Easy access to Galleria, Medical Center, Downtown, restaurants and shopping. This is a truly unique home featuring two stories of luxury living. Enter from the fifth floor to a spacious living room, open to the formal dining area and wonderful kitchen. Also on this floor, a huge secondary bedroom and full bathroom. Downstairs (on the fourth floor) you'll find the ensuite third bedroom, and a huge master with adjoining study. Each bedroom is graced with tons of closet space and storage abounds throughout the unit. The building has just upgraded heating/cooling equipment, is redoing the elevator system and has installed a state-of-the art summer kitchen overlooking the refreshing pool. Home conveys with two assigned parking places. Don't miss the chance to own a truly unique and lovely apartment. ESTATE SALE! SELLER MOTIVATED! A rare find in the Post Oak quadrant, in the heart of Houston. 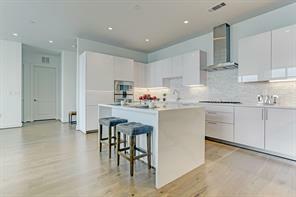 Enclave of 12 Townhomes, built with vision, quality, luxury and contemporary living. Only one owner; exceptionally well maintained. Ready for a buyer to make their creative ideas a reality. Inside the loop, just west of River Oaks & north of the New West End shopping center; Stunning private forest & a walking path on the property. 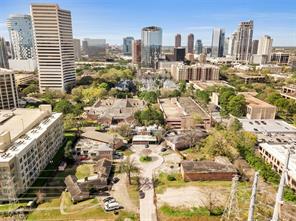 A few blocks to the west is Uptown, Galleria, and all that comes with it. Memorial Park and Arboretum easily accessible. 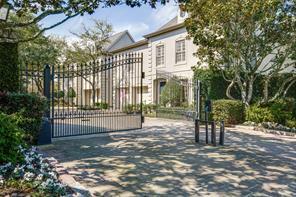 Gated private entry; Museum quality Randy Yost floors thru-out first floor formals. Yost floors are unmistakable and akin to a huge piece of art. Great floor plan for entertaining. Two story views of park like setting in living and formal dining area. Beautiful sun room.Huge kitchen;half bath off entry. Large Master bedroom with gorgeous forest views. Huge, private outdoor pool; 2 car garage & additional covered parking on site. One of kind. 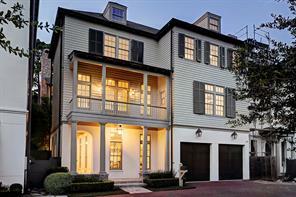 PERFECT LOCK & GO... Doyle Stuckey custom built townhome with first floor living is now available. NEVER FLOODED. Brick exterior, private courtyard entrance, two car oversized, attached garage, private patio deck, small yard w/water fountain are some of the lovely features of this townhome. Upon entry to foyer there is a two story sweeping curved staircase to greet guests. 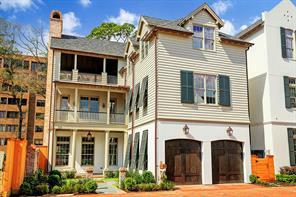 Additional features include elevator capable to second floor, plantation shutters, hardwood floors and high ceilings. The first floor includes formal dining and living rooms, gourmet island kitchen, breakfast room, guest powder room & access to private patio deck and fenced backyard. The kitchen has granite counters, stainless appliances, double ovens, pendant lighting, recessed lighting and under counter lighting. Master suite is spacious and has adjoining study. Master bath has walk in shower, jetted tub plus walk in closet. Third floor has gameroom plus additional bedroom suite with ensuite bathroom. 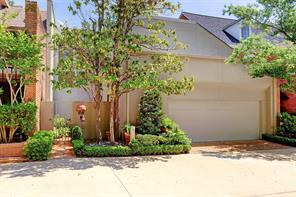 Well maintained home in the gated community of Park at Post Oak Place in Uptown Park. This 3 bedroom 3.1 bathroom home has first floor living with lots of natural light and access to the private backyard surrounded by mature oak trees. There are real hardwoods on the first and second floors as well as the stairs. The master suite is situated on the second floor with a private den, walk-in closet, dual vanities and large sitting space in the room. The third floor includes both secondary bedrooms, the bathroom and game room or office. If you are looking for storage space this home has it along with the ability to install an elevator. Come by and see this beautiful home and community before it is gone. 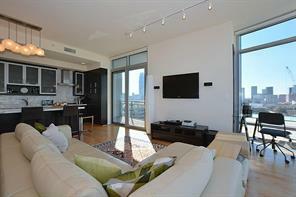 Fabulous updated 21st floor penthouse with 2 bedrooms and separate study which is the 3rd bedroom. 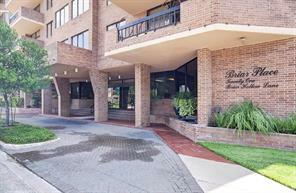 Wood burning fireplace, beautiful updated kitchen and 2 balconies with downtown view. 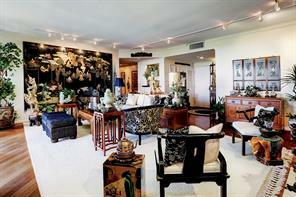 24 hour concierge, gated guard entry, tennis court and pool. 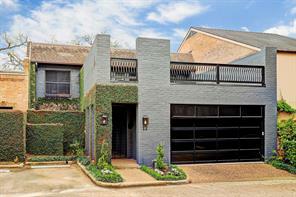 Close to Galleria, Highland Village, Uptown Park, 610, shopping and restaurants. 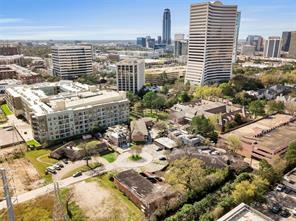 Welcome to Houston's most desirable inner loop residence, The Highland Tower. 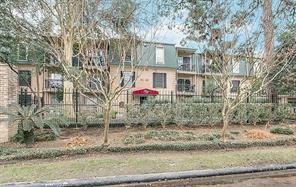 Situated among tree-lined residential streets inside the loop and conveniently adjacent to fine dining and boutiques at the River Oaks District, just 4 miles to the golf course and walk/bike trails at Memorial Park, and easy access to Houston's business centers. This intimately sized luxury high-rise offers world-class amenities including 24/7 concierge, valet, and onsite-management. Suite 906 overlooks the terrace level with landscaped gardens and a putting green. Dine alfresco on the balcony which faces east to downtown skyline views. This home with just under 1300 sq ft of thoughtfully laid out space is ideal for living and entertaining. The island kitchen is a chef’s delight with ample marble counter space, storage, stainless Bosch appliances, gas cooking, and wine chiller. Freshly painted and ready for move-in. A rare-find in Highland Tower so schedule your showing and share with a friend! 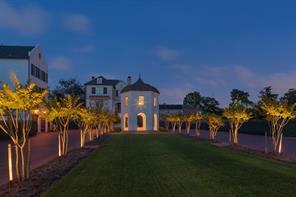 BEAUTIFULLY APPOINTED HOME OFFERS 3,000+ SQ. FT. FEATURING HIGH CEILINGS, TILED AND HARDWOOD FLOORS, WET BAR WITH WINE COOLER, NEUTRAL TONES AND WONDERFUL NATURAL LIGHT FILLED ROOMS. FIRST FLOOR DEN WITH FULL BATH CAN BE A THIRD BEDROOM. KITCHEN WITH HIGH END STAINLESS APPLIANCES, GAS RANGE, WARMING DRAWER, BREAKFAST ROOM AND ACCESS TO AN OUTDOOR BUILT-IN GAS GRILL. DINING ROOM WITH BUILT-IN CABINETRY WITH MARBLE COUNTER TOPS, IDEAL FOR SERVING DINNER GUESTS. DEN WITH FULL WALL OF BUILT-IN CABINETRY. OVERSIZED MASTER SUITE BOASTS TWO BATHROOMS, TWO WALK-IN CLOSETS AND A PRIVATE DECK. ENSUITE GUEST ROOM WITH BALCONY ACCESS. 24 HR. 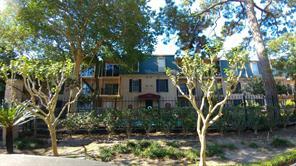 GUARD GATE, AREA POOL AND A WONDERFUL WOODED, PRIVATE NEIGHBORHOOD CLOSE TO GREAT SHOPPING, DINING AND FREEWAY ACCESS. One of a kind! A true gem, this lovely 2 bedroom 2 bathroom condo is the ONLY within the prestigious Highland Tower whose oversized travertine patio offers DIRECT access to the building amenities offering about 270 sq ft. of outdoor space! Completely move in ready. Ideal for entertaining with an airy flow, this unit boasting views of Williams Tower is accented by new 5" maple scraped hardwood flooring (3/2018), replaced carpeting throughout, gourmet marble kitchen with Bosch appliances, fresh neutral paint, floor to ceiling custom hemp motorized black out window treatments and sheers in both bedrooms and living spaces, walk in tub, tuffskin marble sealant to prevent etching & more. Choice Home Warranty provided by seller to buyer with sale of property. Parking spaces are #122 and #123. Also offers a large climate controlled storage closet #381 included with purchase. Washer/Dryer/Fridge included. 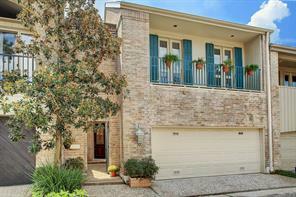 Stunning, light-filled 2-story townhome in desirable River Hollow community "inside the loop." Inviting brick walkway leads to private entry and Italian porcelain tiled first floor with gracious living and dining rooms that open onto an atrium with landscaped wall and fountain. The breakfast room is located next to a well equipped galley kitchen with Cambria counters. All appliances will remain with the property. Exit the breakfast room through a sliding glass door to the patio which opens to an enclosed fenced easement with composite deck and landscaping. On the second floor are the master bedroom, 2 secondary bedrooms, and 3 full baths. The spacious master suite overlooks the 2-story atrium and features his and hers separate bathrooms, a "flex" room, and enclosed washer & dryer behind double doors. Two secondary bedrooms access the front balcony and are currently used as a bedroom and a study. 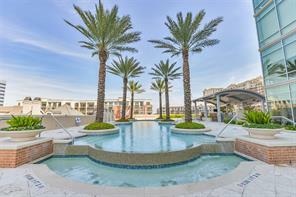 A sparkling community pool overlooks the bayou. READY TO MOVE IN. This beautiful residence has it all! 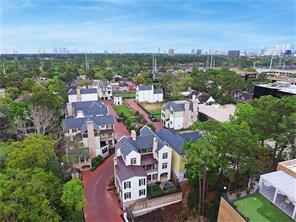 Just minutes away from prestigious River Oaks District & Uptown Park. Gated community w/ green space visitor parking. The private court yard will take you to an incredible floor plan that features 4 BR or 3 BR + study, two convenient laundry rooms, spacious social areas w/ wall windows & built-ins. 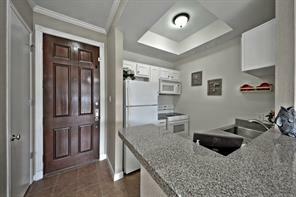 Beautiful Wood floors, Juliet balcony, butler's pantry, oversize island refrigerator, washer, dryer. Cliick the virtual tour. LOCATION, LOCATION, LOCATION! 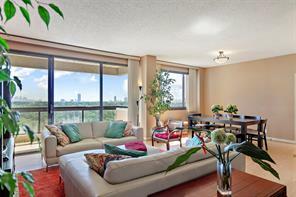 Beautiful corner unit with a great view and LOTS of natural light! 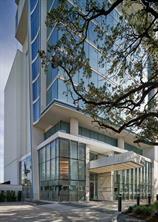 A block away from luxury stores and dining at River Oaks District! Contact me for any details! 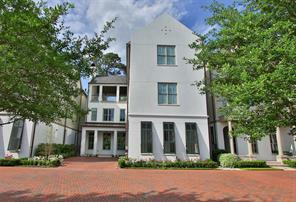 Fabulous 3/3.5/2 town home in gated community. 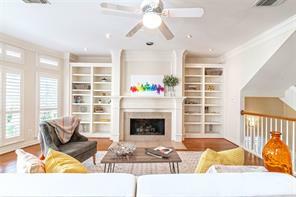 Incredible location - walk to restaurants and shopping (River Oaks District, Highland Village, Galleria, etc). Stunning interior boasting spacious room sizes, open floor plan, abundant windows, elegant & serene palette, loads of storage + a large backyard complete with patio! Huge master bedroom with en suite, great secondary bedrooms w/private bathrooms, wonderful floor plan for entertaining. Sitting area or desk area at top of 3rd floor. New (*5/2018) stainless steel refrigerator, stove, microwave & dishwasher. This is a gem in a fabulous location! 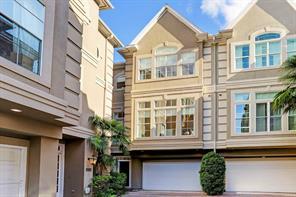 WONDERFUL 3 STORY CORNER TOWNHOME IN LOVELY GATED ENCLAVE WITH ABUNDANT GUEST PARKING. HARDWOOD FLOORS, GAS FIREPLACE, HIGH CEILINGS, DOUBLE CROWN MOLDING. 1ST FLOOR BEDROOM (COULD BE A STUDY) WITH FULL BATHROOM, 2ND FLOOR LIVING OPEN TO DINING ROOM & FABULOUS KITCHEN. 3RD FLOOR FEATURES GUEST BEDROOM WITH EN SUITE BATH AND MASTER SUITE WITH SPACIOUS WALK-IN CLOSET AND MASTER BATHROOM WITH ELEGANT, NEUTRAL FINISHES. A MUST SEE! 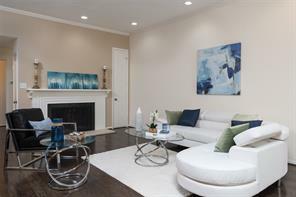 Seller is offering a $7,000 closing fee for buyers at closing before February 15th.Immaculate newly renovated two story Town Home in the heart of the Galleria area. 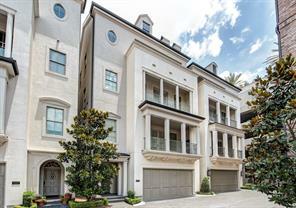 This beautiful place is located in the prestigious Raintree Place gated community. Fresh paint, new appliances and new carpet and wood floors is what makes this property feels like new. Open living with high ceiling, huge Master suite and master bath located on the first floor. Limited access community with a 24/7 guard on duty. The community is located in a beautiful wooded ravine setting that has a beautiful community pool and friendly neighbors. Don't miss your opportunity to see this beautiful Town Home and make it your own today!! Did not flood during Harvey as it was built on one of the higher points in the Raintree community. Dimensions are approximate. Property is being sold as is. Wonderful floorplan an opportunity to renovate and customize. Property received water during Harvey. First floor has been demo'ed (see photos). Second floor remains untouched. Elevator, awesome patios, incredible green views through amazing windows. Gated community with security guard and private pool just steps from this home. 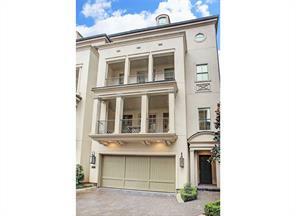 Beautifully updated two story 3 bedroom/3.5 bathroom condo in Briar Hollow is minutes away from the Galleria and Uptown Park. Gated entrance zoned to Lamar High School. Offering first floor living, open floor plan with hardwood floors, gourmet kitchen with granite counters, large walk-in closets, cedar lined closet, master bath with whirlpool tub, separate shower, and dual vanity. The large second story deck has incredible city views. The two car garage with built-ins offers storage and plenty of parking. The Highland Tower offers a uniquely comfortable urban lifestyle free from the burden of maintenance & located in the heart of the River Oaks District.Walk to some of Houston's finest shops & restaurants and enjoy all of the amenities of a fine resort.Amenities include*dreamy cook's kitchen with the finest SS appliances and granite countertops open to living area*lavish master suite & bath featuring a breathtaking view of The Galleria*unit is assigned 2 parking spaces & a storage*A real gem! Your pied-à-terre awaits! 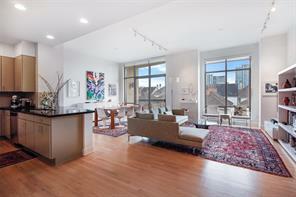 Sophisticated light-filled unit with 11 ft. ceilings and floor to ceiling windows. 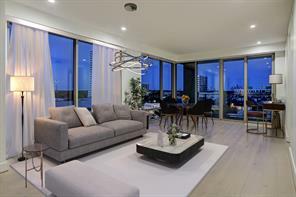 Outstanding features include spacious balcony, hardwood floors, Carrara marble counters in large chefs kitchen with wine chiller and Bosch Appliances, including gas cooking. On-site climate controlled storage unit included. Fifth floor terrace with award winning pool, outdoor fireplaces, grill/dining, gym, lounge, dine/wine room and catering kitchen. 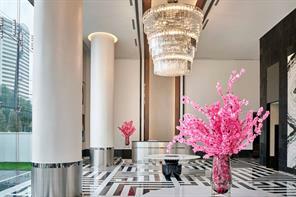 Valet parking and 24 hour concierge. 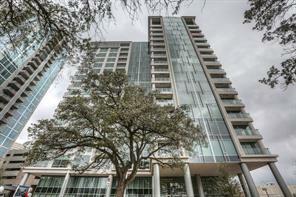 Walk to nearby River Oaks District for the finest shopping and dining in the city. FULL SERVICE BUILDING GOING THROUGH A MAJOR TRANSFORMATION AND UPGRADE! GET IN NOW WHILE PRICES ARE AFFORDABLE! 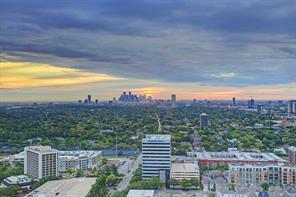 Spacious end unit, located on the North side of the 4th floor with views North, East towards downtown/Memorial Park/River Oaks and views West overlooking the Galleria/Uptown Park area. Fresh paint August 2018, hardwood floors, New Carpet-Feb 2018, NEW AC MAY 2018, updated kitchen and baths, Abundant natural light, 2 balconies, generous room sizes with large closets, separate storage room & 2 assigned parking spaces. pool, sauna, gym, tennis courts. ALL AMENITIES AND COMMON AREAS POOL, TENNIS COURTS, FRONT DRIVE, PARKING AREA REMODELED - (2017), REMAINING COMMON AREAS BEING REMODELED ALL FROM HOA RESERVES 2018-2019. 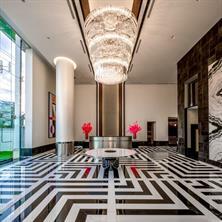 Gorgeous inviting Lobby, Club room w/kitchen, conference area, Concierge and 24 hour guard gated building. Unbeatable location just inside the loop. Prime Uptown Park/Galleria location! Quietly nestled between million dollar homes, this rare community offers only 24 private residences. Unit 307 offers 2 assigned parking spaces located near elevators for easy entry. Interiors are finished with hardwood floors (no carpet), granite countertops, stainless steel appliances, large walk-in closet, private patio, sunroom, and STORAGE UNIT! Imagine waking up on a beautiful morning and take your cup of coffee out on the balcony to enjoy this magnificent view of Houston. You can actually enjoy this view from all the rooms in this well maintained 2 bedroom - 2 bathroom condo. It has an extra room, currently used as a third bedroom. Park Square Condominiums is located close to the Galleria, Highland Village, Memorial Park, Medical District and Museum District. Lots of great shopping, dining and entertainment. Park Square is a great community with very friendly staff who make you feel welcome. There's a gated, guarded entry, 24-hr concierge, valet parking, tennis court, pool, spa, fitness area, lounges in and outside, and a dog run. Max. 2 pets are allowed (max. weight 25 lbs). 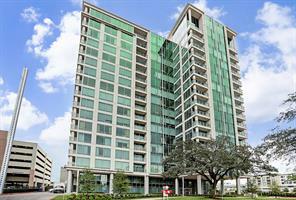 A lovely unit, great amenities, in a highly desirable location near the Galleria. Currently the unit is furnished and can be sold furnished. No Open Houses in Park Square; just contact me for a showing. LIST PRICE BELOW HCAD APPRAISAL. NO RESTRICTION LOT NEAR GALLERIA. 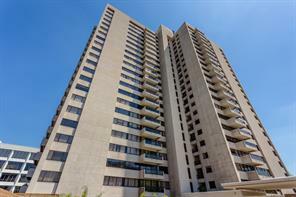 Enjoy this condo and the view of the great exterior amenities from your balcony. This 1623 sqft, 2 bedroom, 2 bathroom unit has a nice floor plan with an open living/dining area, a separate breakfast area, that you may also use f.e. like a study. Park Square is located very close to the Galleria, Memorial Park, Highland Villages, Medical District, Museum District, etc. Great shopping, dining, and entertainment nearby. The wet bar will help you unwind in your own comfortable home. The amenities will make your stay even more enjoyable with outside a pool/spa deck with a grilling area, lounge with a fire pit, tennis court, dog run, and inside a fitness area, spa, lounge & conference room. The staff is very friendly and helpful. The unit has been nicely maintained and the wooden floor is in a good condition. 2 pets (max. 25 lbs) allowed. 2 assigned parking spots. Currently the unit is furnished and can be sold like that. No Open House allowed; call for a showing. Available: July 1st. 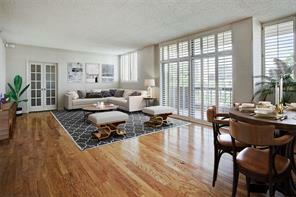 Fantastic updated condo conveniently located inside 610 Loop across from Uptown Park! 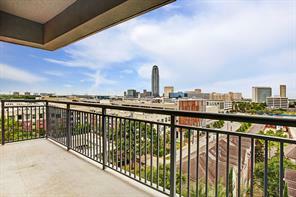 Spacious 2-bedroom, 2-bath end unit located on the north side of the building offers 2 balconies with great views of Downtown, Memorial Park, and Galleria/Uptown Park. Interior features extensive wood flooring, light and bright all-white kitchen, generous room sizes and master with double walk-in closets. Luxurious master bath with dual vanity & sink areas, tub with shower & tiled flooring and tub surround. Full amenities include 24-hour concierge, pool, sauna, tennis court, fitness center, club room, conference center and 2 assigned garage parking spaces. Don’t miss this great opportunity to be near great shopping in Highland Village and The Galleria, as well as entertainment and tons of nearby restaurants! Wow! 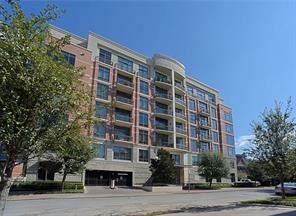 Stunning condo in a remarkably private location just minutes from the teeming Uptown and Galleria areas. This spacious 2-2 is beautifully designed with comfort, convenience and practicality in mind. Hardwood floors, granite counters, sunroom off the master, luxurious bath, 10-foot ceilings, crown moldings, 2 assigned spaces in the parking garage ...the list continues! It's a terrific place - come take a look! MOTIVATED SELLER! BRING ALL OFFERS! Beautiful 5th floor Galleria apartment with 2 large bedrooms, 2 baths, large living room open to dining room, bar area, renovated kitchen with lots of storage and fabulous master closet. This building has 24 hour concierge service, recently remodeled lobby, pool, gym, sauna, party room with full kitchen, jacuzzi and 2 assigned parking spaces. THE MOST QUIET STREET IN HOUSTON! 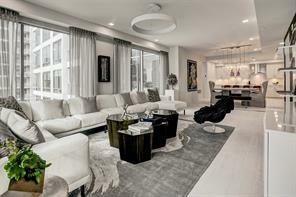 CUSTOM DESIGN CONDOMINIUMS WITH 'WOW' FEATURES. ONLY 24 UNITS IN ALL TWO BEDROOMS/TWO BATHS FLOORPLAN. STANDARD FEATURES INCLUDE: 10' CEILINGS, RECESSED LIGHTING, DOUBLE CROWN MOLDING, 8' DOORS, PRE-WIRED FOR SURROUND AND FLAT PANEL TELEVISION, HARDWOOD FLOORS, GRANITE COUNTERTOPS, UNDER MOUNT LIGHTING, STAINLESS APPLIANCES, JACUZZI TUBS, AND MUCH MORE. Motivated seller! Bring all offers! Beautiful 2nd floor Galleria apartment with 2 large bedrooms, 2 baths, large living room open to dining room, bar area, kitchen with lots of storage. This building has 24 hour concierge service, recently remodeled lobby, pool, gym, sauna, party room with full kitchen, jacuzzi and 2 assigned parking spaces. 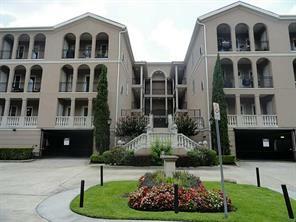 Great 2 bedroom/2 bath/2 assigned parking spots condo in the Galleria area. Did not flood with Harvey in 2017, nor the Memorial Day floods in 2015 nor the 2016 Tax Day Floods. Includes basic cable (about 60 channels), private fenced-in patio yard (35x8) with private gate to your parking spots, community pool, on-site 24-hr mini-gym, water/sewer/hot water included, common areas (lawn, lighting, gates), trash, recycling and building insurance. Currently being rented through June 30, 2019. The 2 Assigned Parking spaces back up to the fence for the condo. DID NOT FLOOD! 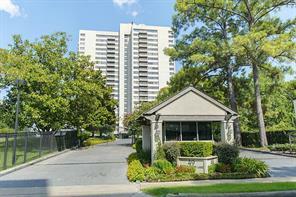 Very well kept 1 bedroom 1 bathroom unit in Briar Hollow Pl. 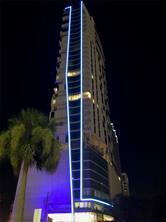 Unit is located on the 3rd level, elevator is available. AC was replaced in 2009 and unit was painted in 2011. Amenities include; 24 hour exercise room, swimming pool and 1 assigned parking! Water and cable are included in monthly rent! 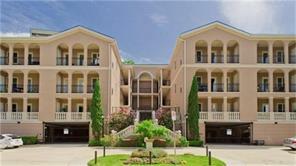 Amazing Condo located in the highly desired Galleria Area! 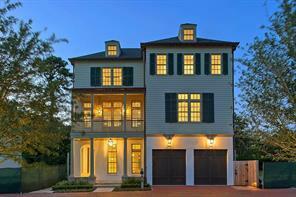 Lovely Open Entry With Gorgeous Custom Mahogany Front Door, High Ceilings and Crown Molding! Large Tile Floors and Plush Carpet! Spacious Family Room & Direct Entry In Gourmet Kitchen! 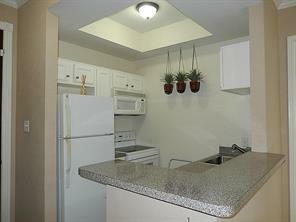 Perfect Gourmet Kitchen W/ Stainless Steel Sink, Beautiful Tall Cabinets, Built In Microwave, Flat Range For Easy Clean!! 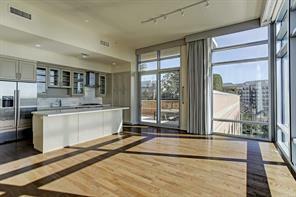 Family Rm W/Sliding Glass Door Leading To Amazing Private Balcony! Gorgeous Accent Paint! Ceiling Fans Throughout! Master W/High Ceilings and Crown Molding! Huge Walk In Master Closet! Custom Paint! Master Bathroom With Shower/Tub Combo & Upgraded Tile Surround!Gorgeous Upgraded Light Fixtures! Amazing Private Balcony With Uptown and Galleria City View! Complex did not Flood during Storms! Complex offers lush landscaping & Totally gated! Outstanding Complex has pool, gym & unit has one reserved covered parking spots.